That got out of hand fast! If you love hockey fights, you gotta check this one out! 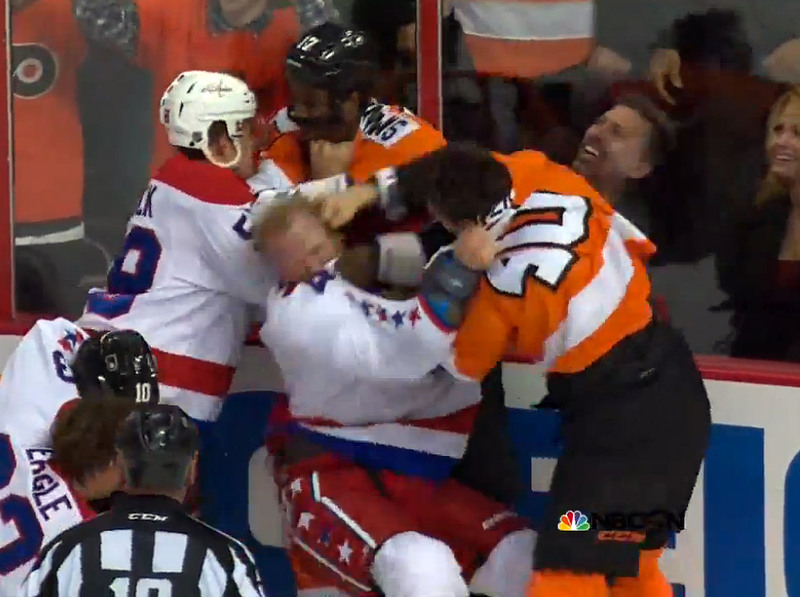 During last nights matchup between the Capitals and Flyers, things got heated fast after some chippy play from both teams. Click Here to see the whole fight in all of it’s hockey glory. If it wasn’t apparent already, just check out this video just to see how much the Flyers and Capitals hate each other. 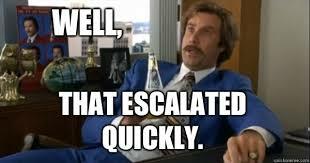 Fast forward to the 55 second mark if you want to skip how the fight started. Gotta love hockey, the mix of skill and brawn that no other professional sport can match.